A smaller version of the popular Synergy Conga Set. Lightweight and durable fiberglass shells, and easy to clean! 8" & 9" natural rawhide heads. Includes height adjustable stand. 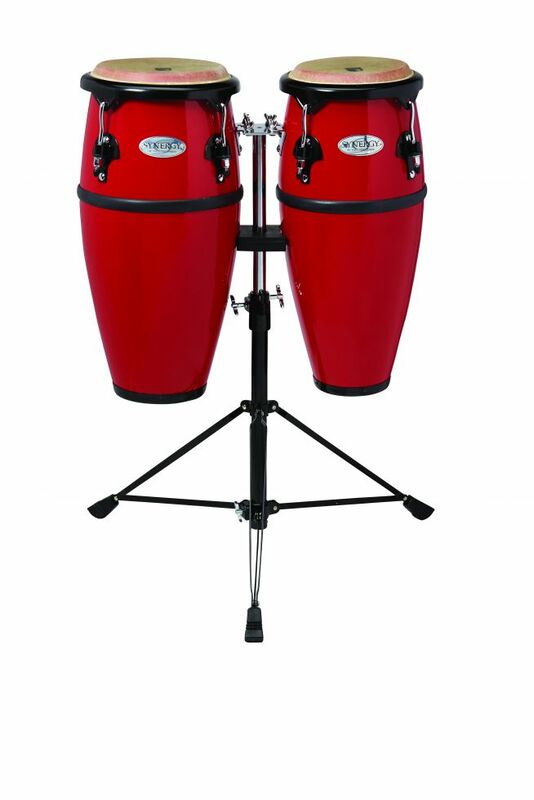 Available in red finish.